ABU DHABI – United Arab Emirates (UAE)’s Etihad Airways and Jet Airways on Wednesday January 16 dismissed reports by Indian media about UAE’s airline’s offer to buy more shares of the troubled Indian carrier in a $35 million instant bailout deal as speculative. Earlier in the week media reports said that Etihad had offered increase its stake in the Indian airline from a 24 per cent shareholding. 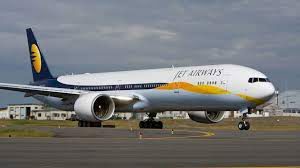 On Wednesday January 16, Jet Airways said in India that it is in talks with its lenders to resolve its debt problems. Earlier reports in Indian media had claimed that Etihad wants Jet’s founder and Chairman Naresh Goyal to step down from the Board and his stake to be slashed to 22 per cent from 51 per cent.